﻿ ﻿ ﻿ When you think of strong bones, you think about calcium, right? Well, it’s true to say that your bones and teeth are made mostly from calcium. It’s also true that calcium gives bones and teeth their strength and rigidity. But other minerals are also important. Getting enough bone-building minerals can be tricky for many of us – according to the Australian Nutrition Survey, about 90 per cent of women and 70 per cent of children don’t consume enough calcium in foods and drinks. Plus, many of us are fall short on other bone-strengthening nutrients. So, what can you do to keep your bones strong and healthy at every age? A healthy lifestyle is the basis of good health - enjoy one that involves a healthy mixed diet with foods that are naturally calcium rich plus foods and drinks that are fortified with calcium.Weight-bearing exercise also helps to encourage bone-building cells and helps calcium be absorbed by your bones, strengthening them and helping to maintain strong bones. But if you're still not managing the 1000-1300mg of calcium recommended daily for adults, calcium supplements can bridge the nutritional gap. Calcium supplements have hit the headlines for the wrong reasons, lately. For example, some headlines drew a link between calcium supplements and heart disease. Others have suggested no bone health benefits from taking calcium supplements. But other large studies clearly show calcium supplementation can have postive paybacks where it comes to bone health. So who to believe? Find calcium in a whole range of foods! And talking about bone density, do you need to get your bone density checked? Depending upon your osteoporosis risk (assessed by your doctor), you may referred to a trained specialist at a radiology service who can check the health and strength of your bones. This is normally done every five years or so, or on your GP's advice. ﻿﻿﻿﻿﻿﻿﻿﻿ So that’s one thing straightened out. The next is the type of supplement to use. You already kow that calcium is the major player when it comes to bone health but it doesn’t work alone. To do its job of building strong bones and teeth, calcium needs vitamins (such as vitamins D and K) and minerals (such as phosphorus and magnesium) whatever your age. 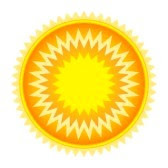 Living in the sun-soaked southern hemisphere you’d think that most of us get plenty of the so called sunshine vitamin (most of our vitamin D is made by the action of UV light on the skin). But, a staggering one in three of us is short on vitamin D. Your body also needs vitamin K to help transport calcium. It also needs We also need phosphorus – but opting for too many fast foods and drinks like cola (which can actually dissolve bones and teeth), means that some of us are getting to mcuh which can have a negative impact on bone health, a revelation dubbed the cola connection. Getting enough magnesium is important for so many reasons. For example, before calcium can work with vitamin D to strengthen bones, magnesium must be present. It converts vitamin D into its active form – you could say that magnesium is the payment needed before vitamin D will do its job properly! Getting enough magnesium also helps to keep calcium dissolved in the blood and not deposited where it shouldn’t be. And, if you’re already low in magnesium and you’re taking vitamin D to build up your stores, your muscles could be left short. This is because magnesium is drawn from your muscles. Symptoms of low magnesium levels include muscle tenderness, cramps, restless legs and twitching. Remember that your heart is also a muscle and it needs magnesium too! 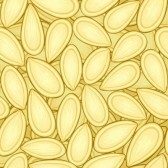 To keep your magnesium levels topped up, nibble on nuts and seeds – pumpkin seeds are an especially good choice. So, protecting your bones whatever your age requires a full-on mixture of minerals and vitamins. And, all in all, there’s a strong case in favour of supplementing with calcium especially when you can’t get all your needs via diet alone. And, because of the widespread deficiency of vitamin D in Australia and New Zealand, a calcium-vitamin D plus magnesium (which many of us are low on) supplement is a wise choice. This month at USANA Australia and New Zealand, we’re shining the nutritional spotlight on the carefully formulated bone-boosting recipe that is Active Calcium Plus™. It contains two different types of calcium for better absorption and each tablet provides a 200mg calcium. The magnesium in the formula encourages your body to produce a hormone called calcitonin which helps to take calcium from blood and soft tissue and into the bones where it needs to be. This not only strengthens bones, but it reduces the likelihood of heart attack and kidney stones (side effects which have been seen in calcium only supplements and which has contributed to the inconsistent and puzzling media reports). Choose the wonderful formulation that is Active Calcium Plus today – it carries USANA’s Potency Guarantee, so you know that it is pure, safe, and effective. Your bones deserve it today, and tomorrow, and in the years to come! Laboratory tested, quality guaranteed. Meets British Pharmacopoeia specifications for potency, uniformity, and disintegration where applicable. Using Active Calcium Plus: Take four tablets daily, preferably with meals.